Country music legend Ronnie Dunn of the awarding-winning duo Brooks & Dunn, will be inducted into the Nashville Songwriters Hall of Fame on October 28 (2018). Impressively, he and his musical partner, Kix Brooks, sold millions of records from 1991-2011 and were named 14 times as the Country Music Association’s Vocal Duo Of The Year. As a solo writer, Dunn penned some of the duo’s classic hits like “Neon Moon,” “Hard Workin’ Man,” “She Used To Be Mine,” “She’s Not The Cheatin’ Kind,” “Little Miss Honky Tonk” and “Boot Scootin’ Boogie,” which was named ACM Song of the Year in 1992. A Tulsa, Oklahoma native, Dunn also co-wrote other Brooks & Dunn hits such as “Brand New Man,” “My Next Broken Heart” and “Believe,” which was the ACM Song of the Year in 2005 and the CMA Song and Single of the Year in 2006. Notably, Dunn was BMI’s Country Songwriter of the Year in 1996 and 1998. 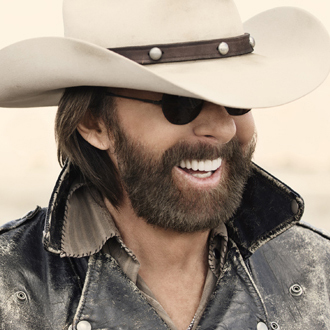 We are pleased to present this new Q&A interview with Ronnie Dunn. He talks about his biggest challenge as a songwriter, and his fear in moving to Nashville to pursue music. He also tells the story behind some of the duo’s biggest hits. BC: What does being inducted into the Nashville Songwriters Hall of Fame mean to you? Ronnie Dunn: I didn’t see this one coming. I’ve had my share of awards along the way. I used to tell my wife—I think I actually have three jobs here because when I’m not on the road performing, singing and traveling, I’ve got to go back to the barn and write songs too. I’m pretty much one to always sit around for the most part and wait for inspiration, instead of dedicating a whole lot of perspiration to the process. This honor is the cherry on the cake. The reason I say that, is I can remember talking to (Merle) Haggard years ago on numerous occasions. He always referred to himself more as a songwriter than he did a singer and a performer. When he would talk about the songs he had written, he’d go, “that’s really what I do.” A few years later I was starting to catch on and knew what he was talking about with that. That’s the stuff that lives on after your days have come and gone. BC: You’ve written hits as a solo writer and as a co-writer. What’s the difference, and do you prefer one over the other? Dunn: I actually moved from Texas out of college to Tulsa, to get my big break in lieu of Nashville because the Jim Halsey Company was there at the time, and they were the largest booking & management agency for country music acts at the time. There were no songwriters there. I realized early into the game that I’m [wasn’t going to be able] to call a publisher or whoever in Nashville and get a song, much less get a top drawer song. So I sat down, and I would listen to the radio to get the template for how to write a song—four line verse, four line verse, four line chorus, first chorus, and that kind of stuff. One day, I committed to sitting down for 10 days straight and really took a stab at seriously writing songs, just adding discipline to the concept. I wrote “Blue Neon Moon,” “Boot Scootin’ Boogie,” “Hard Working Man” and “She Used to Be Mine.” There were five or six number ones that came out of that. We used to get frustrated, because we didn’t feel like we were getting pitched songs, and I thought it was unique to us until I heard George Strait say the same thing (laughs). I guess no artist ever feels like they’re getting enough good songs. It helps in a big way to be able to sit down, and every now and then be able to bang one out on your own or with someone else. Co-writing is a different art…Nashville is built on that cornerstone. That was always something I was a hair uncomfortable with, so I adjusted. To sit down in a room with a stranger and come up with a song, more times than not, it didn’t seem to work for me. It did on occasion, but I was always more comfortable with Kix or Don Cook. Then later on, Terry McBride and I became close friends, and Terry would travel with me on the road. We would write out there a lot. To be just a general on the street Music Row co-writer, I think that’s a really challenging vocation. That’s a hard way to do it. I was lucky because I knew the artist that I was writing for (laughs). BC: What do you believe is your biggest strength in songwriting? Dunn: I don’t know that I have a strength. The biggest challenge is coming up with that hook line. The music just comes without even thinking about it. That’s something that’s instinctive. Lyrics are a little more challenging for me. Dunn: It was during the Urban Cowboy movement. I was playing a huge club in Tulsa, and there would be 2,500 a night that would show up. There would be waves across the dance floor of people dancing. It wasn’t written as a line dance. We just sat back as guys in the band and go, “What the heck are they doing? What is that?” We had to sneak them in back then if you had an original song. I started playing that one. People would come up and ask to hear the song again later in the night. That was a first for me. [It was] just the simplicity of whatever it was that resonated with an audience out there. BC: How did “Little Miss Honk Tonk” come about? Dunn: That was the first song that we wrote. It was with Kix and Don Cook and ended up being the second single for us. That was when the three of us got together at (music exec) Tim DuBois’s urging and asked us to write a song. Don had the idea. I threw the shuffle and the melody out there and away we went. I didn’t think much of it at the time. I remember it was early on—I had just moved to Nashville, and I was really afraid of Nashville. It scared me, intimidated me. I told her I don’t think I did too well today. Back then, everything I had was hanging on and making it here. There was no plan B. I remember at the end of that long day and writing that song with Don and Kix, back home to the log cabin that John and June Cash had given us to stay in. I said, “We might as well pack up if today’s an indicator of how the writing thing is going to be, we’re done” (laughs). It ended up becoming our second number one song, which tells me I don’t know anything. BC: What are you busy with these days? Dunn: I’m enjoying the residency at Caesar’s Palace in Las Vegas with Reba and Kix. We’re going into our fourth year with that. That’s the best of all worlds. You get a fabulous facility and you get great crowds, so far, knock on wood. You don’t have to jump on a bus and run 300 or 400 miles between shows every night. I don’t know how it could get much better than where it is now.